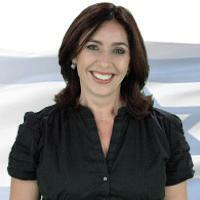 Regev was long the spokeswoman for the Israeli Defense Forces. She has long been a menace to free speech and artists. When the al-Midan theater wanted to put on the play “A Parallel Time” (about Walid Daka, who planned the murder of IDF soldier Moshe Tamam in 1984), Regev froze state funding for the al-Midan theater where the play was being performed. Now she wants more power to police free speech and artistic expression. For over a decade, the Israel Democracy Institute (IDI), a non-partisan Israeli research institute founded in 1991 and based in Jerusalem, has been studying the quality of Israeli democracy and how well it functions. The result is “The Democracy Index”, a long-term, comparative study of some thirty-one indicators measuring Israeli democracy against that of thirty-five other democracies. The index includes a public opinion survey component reflecting how Israelis view their democracy. “Here Israel ranks at the bottom of the list in all indicators. The turnover in governments is more frequent than in other democracies, and only India ranks lower in social tensions and rifts between the various segments of society. Israel — together with Mexico, India and Romania — is only one of four countries out of 31 in which the population is of the opinion that “strong leaders can be more useful to the state than all the deliberations and laws.” On one indicator, measuring freedom of the press, Israel’s media came in as “nearly free”. Ralph, glad to see that you came to your senses, unless you are just trying to lull us to sleep so you can keep demonizing Israel and urging us to hate it even more than it is hated. I have been yelling it off treetops that Saudi Arabia is NOT a democracy, it is monarchy, a theocracy that thankfully never dared to claim to be THE democracy that Israel is…otherwise I would get so upset! I am disappointed however that you differentiated between all Muslims and the “” Muslims in Saudi Arabia””. Although it is clear that poetry has always been part and parcel of Islam, and even the Quran itself is deemed to be the greatest work of prose ever, and great works of poetry abound in the Muslim world, making such differentiation makes it seem that such extremism is mostly found in wahabism and saudi arabia. Which is true, but still! WE do not want to give the impression that Muslim countries like Turkey and Senegal for example are anywhere near as democratic as Israel. It’s true that in those countries, Muslim countries, I must repeat, there is no segregation based on gender, religion or ethnicity, and there is no second class citizenship as we find in Israel, and no one gets more rights than others based on their religion or ethnicity, nor do elected leaders or religious leaders openly and continuously call for the genocide of other ethnic/religious groups, and certainly not of defenseless women and children…and there is no apartheid system…and no entire bedouin villages are kicked out of their lands to be replaced by one single ethnic group…and no children are kidnapped by the army and tortured, sexually and otherwise in dungeons without legal representation… but still, none of those countries are the democracy that Israel is for, simply, she is Israel after all! And no, nooooo, the demon state is S. Arabia, a conservative country where women have no access to the holiest worship site, where women are photoshopped out of pictures, where little girls are spat on for wearing shorts…and where a teen showing support for gay rights was stabbed to death. Oh, oops, that was Israel in fact but still, the point is made that Israel, though imperfect in so many ways, is still much better than S. Arabia, a dictatorship! BUT…let us still remember that as the most valuable country in the world, the land of the chosen people, Israel can do no wrong. So let its denigrators speak, you and I, and Tommy, know that even if we put all the rest of humanity on the other side of the balance, Israel would weigh more. The heavy cost of ignoring or rewarding Palestinian hostility and hate. Activists who genuinely want to see peace between Israelis and Palestinians need to internalize a memorably alliterative warning: plenty of Palestinian passes perpetuate the impasse. The more global opinion ignores or rewards irresponsible behavior by Palestinians, the more likely renewed violence (rather than peace) becomes. There are enough instances of unfair and counterproductive “Palestinian passes” to fill a tome, but here are some recent examples. Probably the most important pass currently given to the Palestinians is the global silence over news that Hamas is preparing to launch another war against Israel while distressing ordinary Israelis with their ominous tunneling sounds. Such silence by the world’s most important media, international bodies, political leaders, NGOs and academics helps keep Hamas in power, and when Hamas eventually launches new hostilities against Israel, many of the same voices that are now silent will blame Israel for the resulting suffering. Last April, Iran reportedly sent Hamas tens of millions of dollars to rebuild tunnels and restock missile arsenals destroyed in 2014 by Israel during Operation Protective Edge. Instead of global sanctions or censure over its support for terrorism, Iran was rewarded with a nuclear deal that just unlocked $100 billion in frozen assets, some of which are expected to support more terrorism. Hamas regularly starts pointless wars with Israel that doom Gaza to inevitable devastation. Then, when international sympathy and donations pour in, Hamas diverts the resources to rebuilding its offensive capabilities/tunnels (rather than destroyed homes in Gaza). Hamas recently accelerated its tunnel-digging program. Indeed, three collapsing tunnels killed eight Hamas diggers in late January and another two last week. Such reports establish that Hamas is diverting resources from rehabilitating Gaza to attacking Israel, and yet the world still blames Israel for Gazan misery. Ironically, those who claim to excoriate Israel out of their concern for the welfare of Gaza don’t seem to care when Hamas causes Gazan suffering. At least 160 Gazan children died digging Hamas’ tunnels intended to kill Israeli children. Hamas tortures political prisoners next to a girl’s school and kills its critics (it executed 25 in 2014). Hamas executed 120 Gazans for breaching a curfew. Hamas kills fellow Palestinians when its rockets fall short. Unsurprisingly, in a poll last September, Gazans actually preferred Israeli rule to Hamas. Facebook tolerates Palestinian incitement but quickly responds to complaints about Jewish racism. The company is clearly able to control the threats circulating on its site, as shown by Facebook’s recent decision to stop gun sale promotions, making the continued incitement against Jews and Israelis on Facebook all the more outrageous. Facebook has much to learn from its tech rival, Google, which is reportedly directing jihadi search queries to sites that deradicalize. Global opinion seems indifferent to how incitement (including in Palestinian pop culture) contributes to Palestinian violence. Instead, United Nations Secretary General Ban Ki-Moon blames Palestinian terrorist attacks on Israeli policy (settlements), which is like blaming the November Paris attacks on France’s policy against Islamic veils in schools (ironically, Israel actually allows such veils in its schools). When Israelis kill knife-wielding Palestinians in self-defense, Sweden’s foreign minister calls for a probe into Israeli “extra-judicial killing,” but she was conspicuously silent after French police preemptively killed a machete-wielding Islamist trying to hack them in a Paris police station. Except for attacks on Israelis, world leaders and commentators never try to blame the victims of Islamist terror. This hateful, blame-the-victim exception for Jews is not limited to the Jewish state. According to recent polls, many of the French believe that Jews in France are responsible for a rise in anti-Semitism. Those who claim to want Israeli-Palestinian reconciliation should recognize that pressuring only Israel actually reduces the prospects for peace (as an architect of the Oslo Peace Accords observed about the Obama administration’s fruitless efforts). Unfortunately, France is repeating Obama’s mistakes with its latest threat to recognize Palestine if Israelis doesn’t make enough concessions to those trying to stab them. Phyllis Chesler shows how the New York Times employs a double standard in reporting on victims of violence. Palestinians are personalized with names, ages, and sympathetic eyewitnesses. That rarely happens with Israeli victims. More recently, CAMERA highlights how leading U.S. papers downplay or ignore the recent Palestinian stabbing murders of Israeli women. A corollary of the pro-Palestinian pass on negative coverage is passing on positive coverage of Israel. There has been virtually no mention of Israel’s disproportionately generous humanitarian aid efforts, or its exceptional contributions to solving global problems relating to health, energy, agriculture, security, (as Israel has done in Africa). If the world knew just how important Israel is to solving some of the planet’s toughest problems, and how Israelis can also be victims of war and terror, global opinion might be less judgmental and more protective of the only democracy in the Middle East, as the tiny Jewish state does its best to survive in the world’s toughest neighborhood. All of these types of passes grow exponentially worse whenever war breaks out, usually after Hamas launches one too many missiles at Israeli civilians. When Israel can no longer accept about 40 percent of its population living in range of deadly rocket attacks and finally does what any normal country would do – take military action against those attacking it – the global media bias moves into overdrive, enabled by “Pallywood,” journalistic malpractice, and fear of Hamas retribution. Casualties inevitably mount, especially thanks to Hamas’s unethical use of human shields, emotions run high, and media outlets compete to get “breaking news” out first, resulting in less time to check facts and more groupthink pressure to favor the perceived underdog. The media slant then exacerbates the bias from world leaders, international bodies, NGOs, academics, and anti-Israel boycott movements. On an on and on, the Islamo-nazi ultrasubcretin carries on……. and on….. and on. On an on and on, the zionist-nazi ultrasubcretin carries on……. and on….. and on. My point exactly, Tommy, ultrasubcretin indeed!